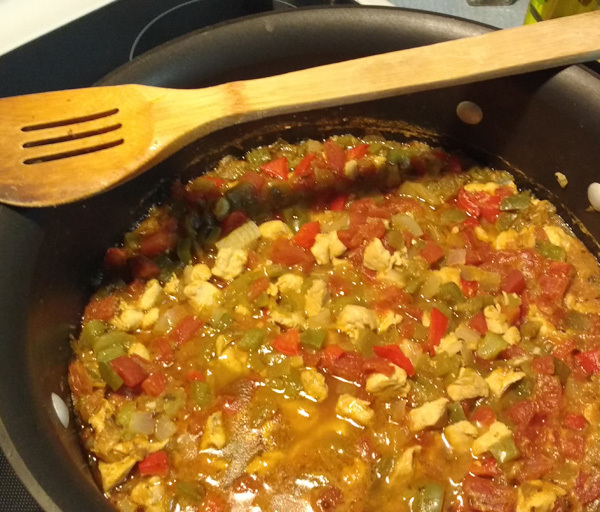 This is a Paleo modification of my first Chicken Chili recipe, still accommodating my wife’s food intolerance. The original recipe included the cream cheese, beans, and corn, which were immediately dropped my first version. Instead I added fresh green and red peppers, bumped up the chicken to a pound and a half, doubled the green chilies and, for this Paleo version, added diced tomatoes. Feel free to jack up the spices to make it hotter.